Bournemouth scored three times in the opening 45 minutes with Fraser grabbing two (19 and 37) before King converted from the spot (41). Smith grabbed a fourth for Bournemouth (81) after Wes Morgan was shown a second yellow card of the afternoon and there were late goals from James Maddison (88) and Marc Albrighton (89) to give Leicester a brief glimmer of hope, but defeat for the visitors is likely to raise questions again over the long-term future of Claude Puel. The result means Bournemouth go up into fifth in the Premier League table. Leicester remain in ninth. After a bright start from Leicester with the visitors looking more likely to open the scoring, it was Bournemouth who took a surprising lead in the 19th minute. As Leicester piled numbers forward, Josh King kick-started a counter-attack before he played through Fraser for the Scotland international's first goal of the afternoon. Leicester missed two glorious chances to equalise shortly after the half-hour mark. Asmir Begovic first denied Jamie Vardy, who was clear on goal, before blocking Maddison's rebound onto the crossbar. 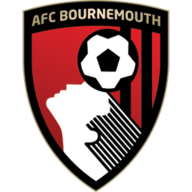 Bournemouth made them pay moments later as Callum Wilson surged forward and played in the onrushing Fraser to calmly slot away his second. The afternoon turned from bad to worse for Puel's side when Ricardo Pereira clumsily handled in his own box to hand Bournemouth a penalty. King stepped up and drilled his effort into the bottom corner to give Howe's men a remarkable first-half lead. Simon Francis dropped to the bench with David Brooks returning to the starting line-up. Jamie Vardy returned from suspension to lead the Leicester attack, replacing Marc Albrighton. 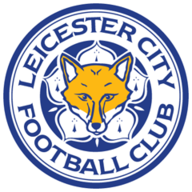 Leicester started the second half in encouraging fashion with Harry Maguire forcing Begovic into a smart, reflex save in the 62nd minute, but Leicester were then reduced to 10 men. After already making two quick challenges, Morgan lunged into Smith when going for the final ball which resulted in referee Craig Pawson handing him his second yellow. Bournemouth capitalised on their man advantage to go four up with Fraser beating Pereira on the left flank before he squared for Smith to slot home. Even though Leicester were four down, they continued to fight and clawed back two late goals. First, Maddison converted from the spot after Pereira was tripped up by Sergio Rico. Then, just a single minute later, Albrighton reduced the deficit further as he latched onto Kelechi Iheanacho's pinpoint cross with a fine header. But that was as good as it got for Leicester as Bournemouth claimed an impressive three points. Harry Maguire ran the risk of getting sent off in the first half. After receiving an early yellow card, he was fortunate to not see another one after barging into King on the byline in the 28th minute. James Maddison is likely to have raised his chances of grabbing his first senior England cap. He was Leicester’s best performer and deserved to be on the scoresheet after a convincing display linking up with Jamie Vardy. Ben Chilwell had a quiet game at left-back as part of a backline that endured a difficult afternoon. Bournemouth are unbeaten in their seven Premier League meetings with Leicester (W2 D5 L0). They've faced Leicester more often without losing in the Premier League than against any other side. Bournemouth have lost just two of their last 13 Premier League games at the Vitality Stadium, winning seven and drawing four. Leicester City have lost five of their last six Premier League away games, winning the other versus Southampton. Bournemouth striker Joshua King both scored and assisted in the same Premier League game for the first time in his career. Leicester defender Wes Morgan was shown his second ever red card in the Premier League and first since December 2014 vs Liverpool. Bournemouth have scored three first-half goals in a Premier League game for only the second time (also October 2016 v Hull). 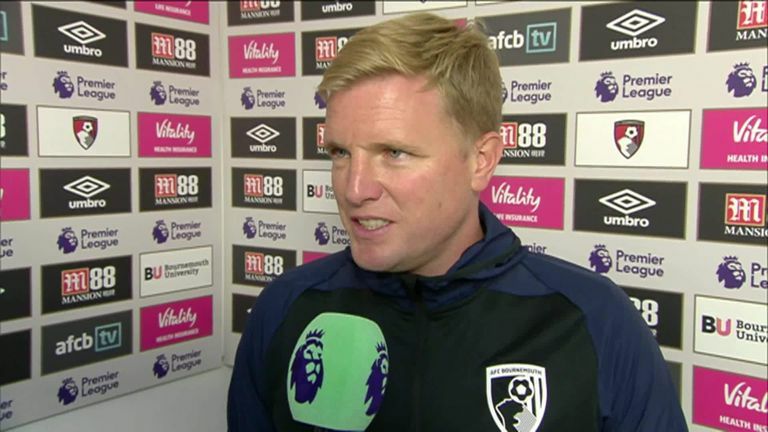 Eddie Howe: "It was a tough game. Leicester are a very good team and you could see that in stages of the game but we were clinical when the chances came. We were very effective in front of goal and bar the last part of the game I'm very happy. It's a good day for us. We go away with a very good result but also knowing that we still have got work to do and things to do. That's a very healthy position to be in." 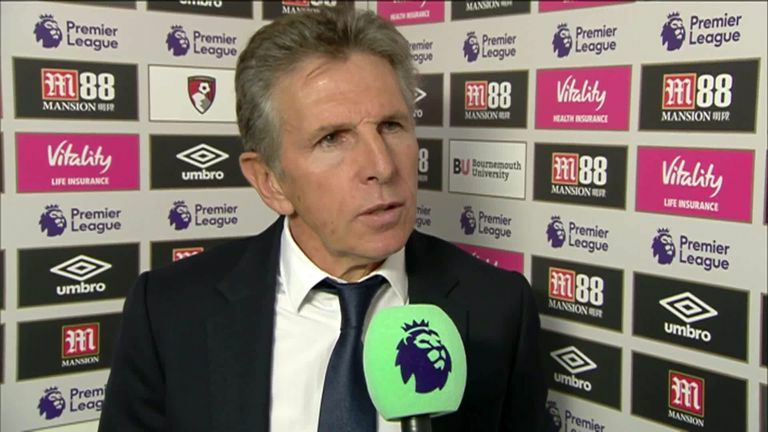 Claude Puel: "It's a difficult feeling and I'm more than disappointed. It was strange the first half. It was not a fair reflection. We started this game with good intentions and it was a good balance between both. "We had the first chances to score. But after the counter-attacks it was difficult to react. We had to prevent this situation. We lacked concentration and focus. "After the second half it was difficult to come back. We tried but we conceded another goal with a man down but I praise the mentality of my team because we scored twice at the end. I think it was important. Now it's important to prepare for the next game and that I hope this was an accident and we react." 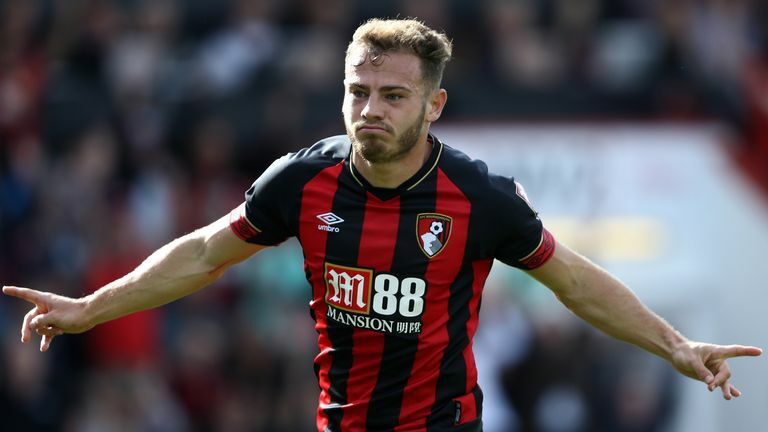 Fraser put in a hugely impressive performance for Bournemouth and caused opposing right-back Pereira plenty of problems down the left flank. His pace and power was too much for Leicester and showed a clinical edge when he dispatched two of his chances as well as a grabbing an assist for Bournemouth's final goal. Bournemouth travel to Lancashire to face Burnley at 3pm on Saturday, September 22. Leicester, meanwhile, host Huddersfield.